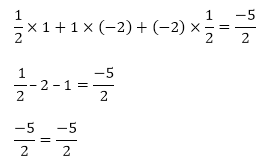 Find a cubic polynomial with the sum, sum of the product of its zeroes is taken two at a time, and product of its zeroes as 3, – 1 and – 3 respectively. k is any non-zero real numbers. 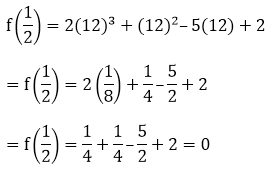 If the zeroes of the polynomial f(x) = 2x3 – 15x2 + 37x – 30, find them. Let, α = a – d, β = a and γ = a + d be the zeroes of the polynomial. 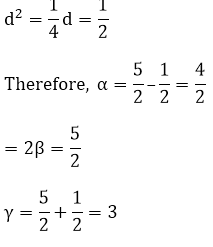 Find the condition that the zeroes of the polynomial f(x) = x3 + 3px2 + 3qx + r may be in A.P. 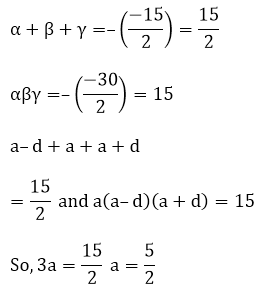 Let, a – d, a, a + d be the zeroes of the polynomial. 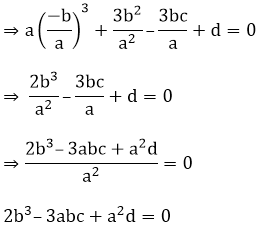 If zeroes of the polynomial f(x) = ax3 + 3bx2 + 3cx + d are tin A.P., prove that 2b3 – 3abc + a2d = 0. If the zeroes of the polynomial f(x) = x3 – 12x2 + 39x + k are in A.P., find the value of k.
Let, a-d, a, a + d be the zeroes of the polynomial f(x).